and democracy, reconciling political authority with individual freedom. law encompasses not merely the formal equality of all before the law, as enacted or declared, but a more fundamental idea of equal citizenship. 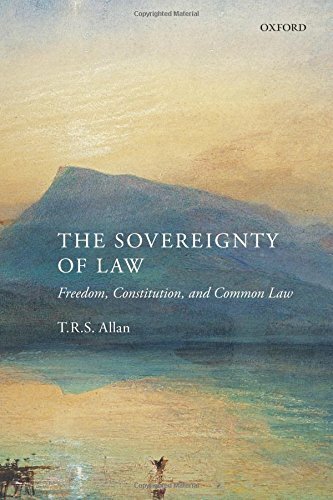 Allan’s interpretative approach is applied to a wide range of contemporary issues of public law; his response to critics and commentators seeks to deepen the argument by exploring the theoretical grounds of these current debates and controversies.